Neem is an ayurvedic medicine used for hair and skin care. The benefits of neem on skin was utilized years ago when the leaves were mixed in hot water to take bath. Neem either its bark or leaves are healthy for the skin and hair. Neem is known as a traditional blood purifier agent. Neem is consumed as well as applied to get a flawless complexion and a healthy skin by keeping skin diseases away. Neem is used as skin care ingredient in lotions, ointments, skin and facial powders or creams. Neem is anti-bacterial, anti-fungal, non-allergic, anti-viral and blood purifier. 1.washing face with neem extracts provides relief from redness and itching skin, lightens scars and pigmentation. 2.Neem paste if applied on face cures acne. It also soothes and moisturizes dry or cracked skin. 3.Neem as skin care medicine cures fungal or bacterial skin infections. 4.Neem is useful for both dry and oily skin. It is believed that neem is the most effective skin cleanser. 5.Neem oil cures diseases like chicken pox, scabies and measles. Neem oil is used as a tonic to stop itching and sores. 6.Skin rashes and marks can be cured by applying neem paste or oil. 7.Pimple prone skin has found out the benefits of neem on skin by ts appliance. Neem not only clears the skin from pimples but also removes dark spots of the pimples. So, use neem for skin care and look beautiful! Yes i have also experienced that Neem is very beneficial for skin and people should use it. Yes Neem is really good for the skin, I know this very well because I use it. Neem is anti-bacterial, anti-fungal, non-allergic, anti-viral and blood purifier. I am completely agreed with you. Neem is the best solution for all types of skin care. Neem is very beneficial for skin and people should use it. 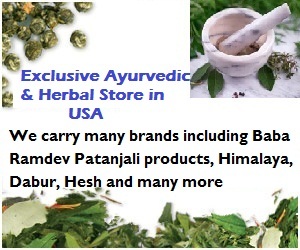 Neem are always used in making the herbal products.Actually this type of products are often used in the market. Neem is very good skin . I used it for very long time . The limits of responsibility is very reliable matter.We can focus on that thing. I never used this kind of neem but i probably will start using it. Hope it will work for me too because my hands look awfull. Skin is one of the most important part of human body. We should care it regularly and use natural herbal skin care products only. Neem is also a good tonic for our skin. It is helpful for blood purifier. Thanks for keep sharing.